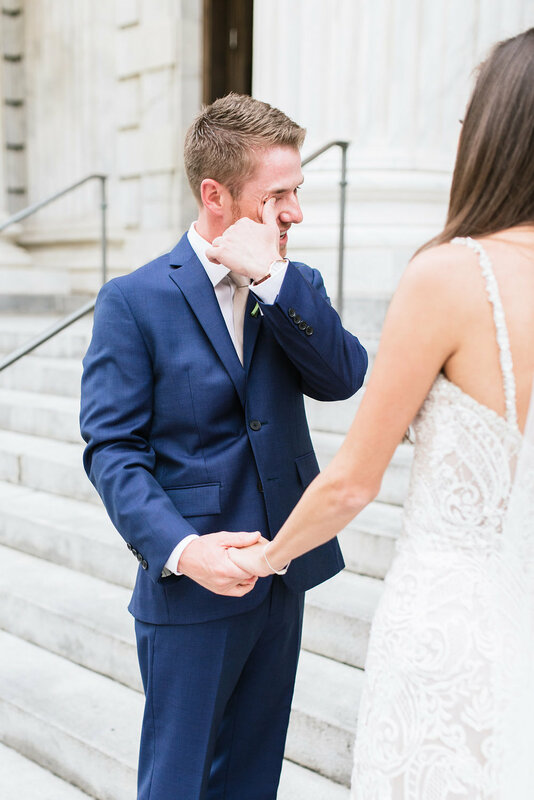 When Jessica first emailed me to inquire she mentioned that she and Chris have been each other's date to over 30 weddings. That blew me away for a few reasons. The first being wow, they have a lot of friends and two, being how great that they have so much fun celebrating their friends together and now it's their turn! 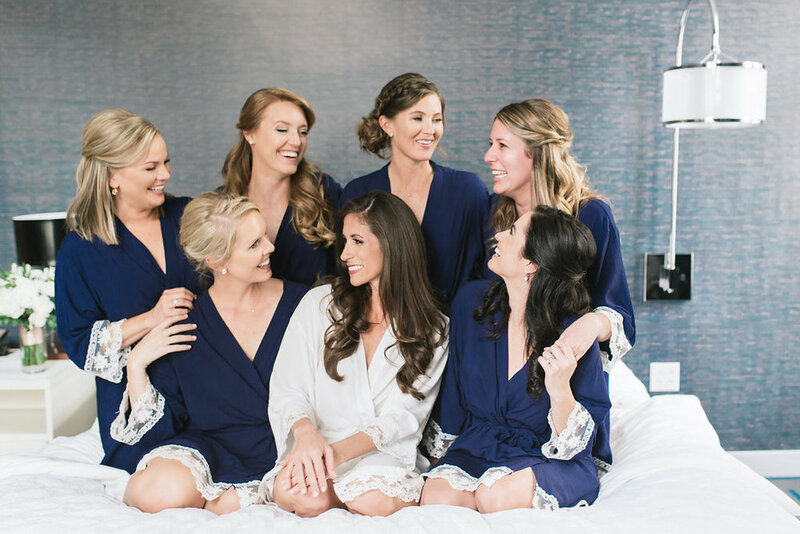 When I met them at Bartaco for our first planning meeting over tacos and margaritas I was not surprised by the amount of friends they have and all the fun they have together. These two are so fun, no wonder they have so many friends! They are loving and always up for a good time. I loved that each meeting we had and every email correspondence they took on planning as a team and it was heart warming to witness. 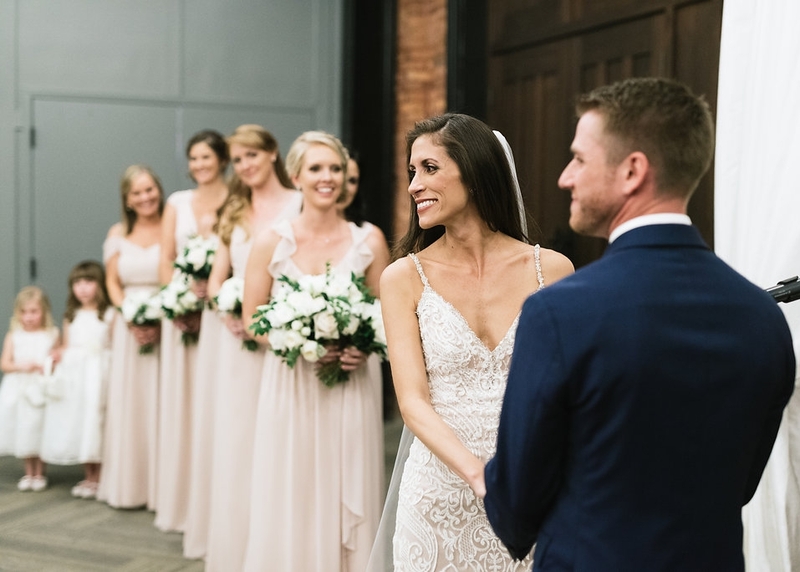 Wedding planning can be stressful but it is also a great strength training exercise between you and your partner and Jessica and Chris passed with flying colors. 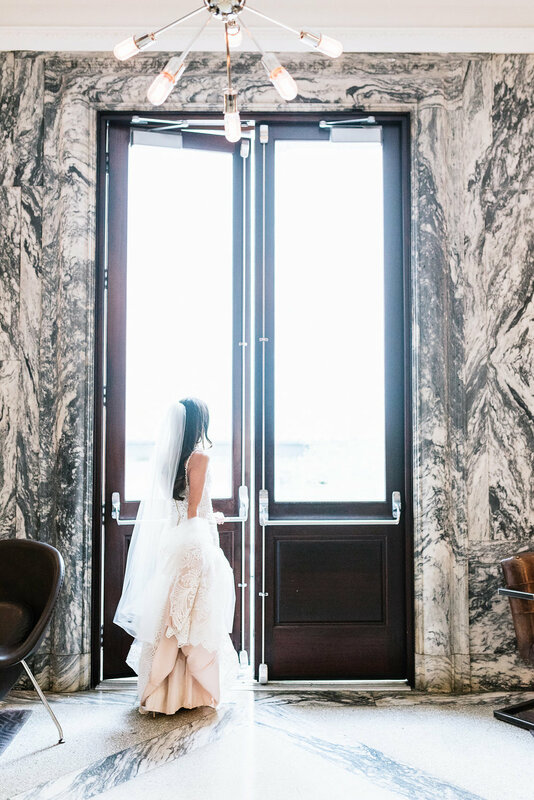 Jessica and Chris got ready and did their first look at Le Meridien in downtown Tampa, a beautiful boutique hotel that is in a transformed courthouse. 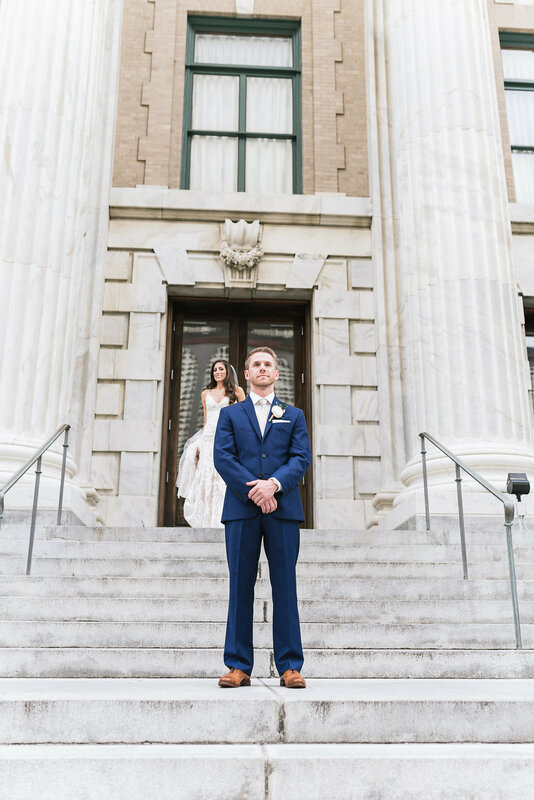 The steps were the perfect location for their first look and portraits and Cathy Durig did a beautiful job communicating their timeless and classic style. 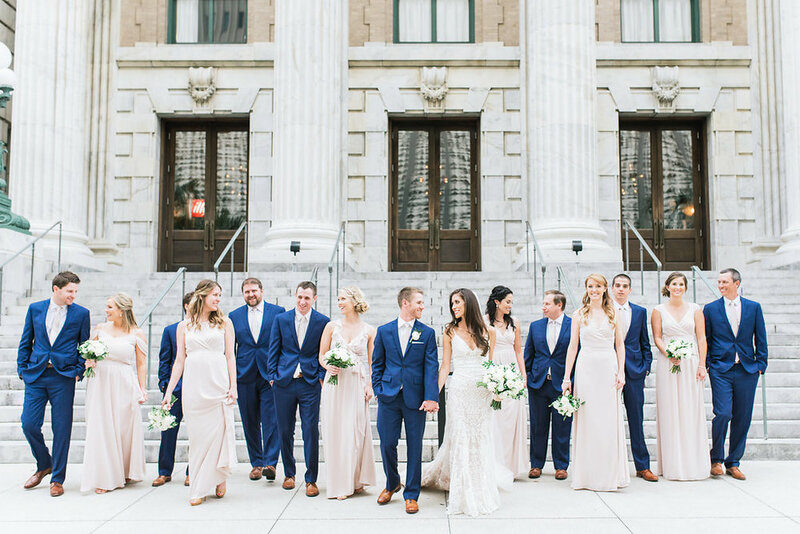 It was easy to pick up on their style right away, they had great style. 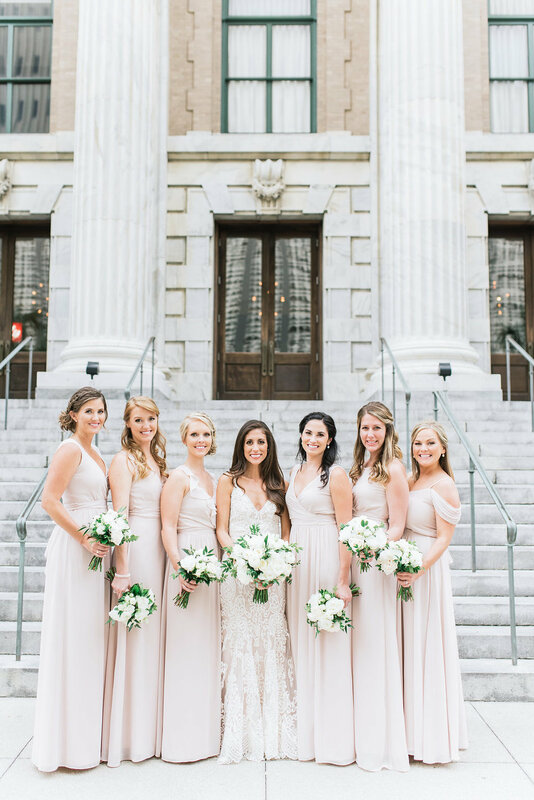 They love classic and timeless elements with modern flairs. 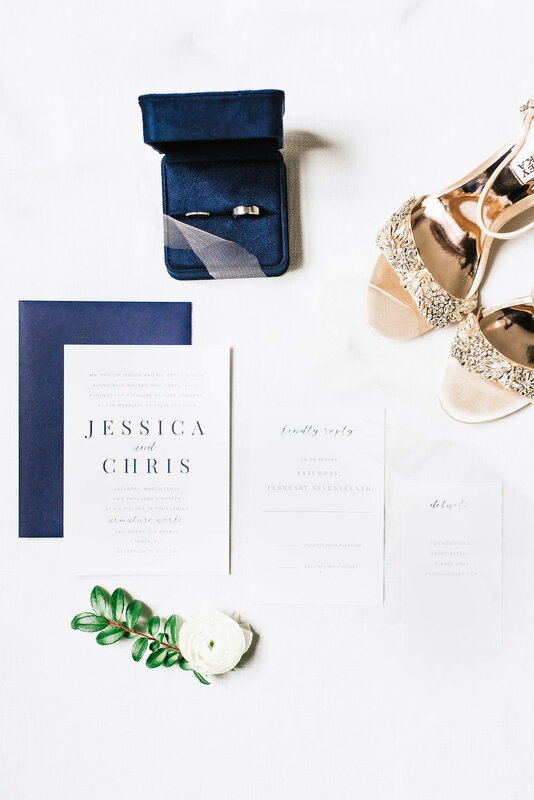 We stuck with a palette of whites, with gold accents and a little classic navy here and there. 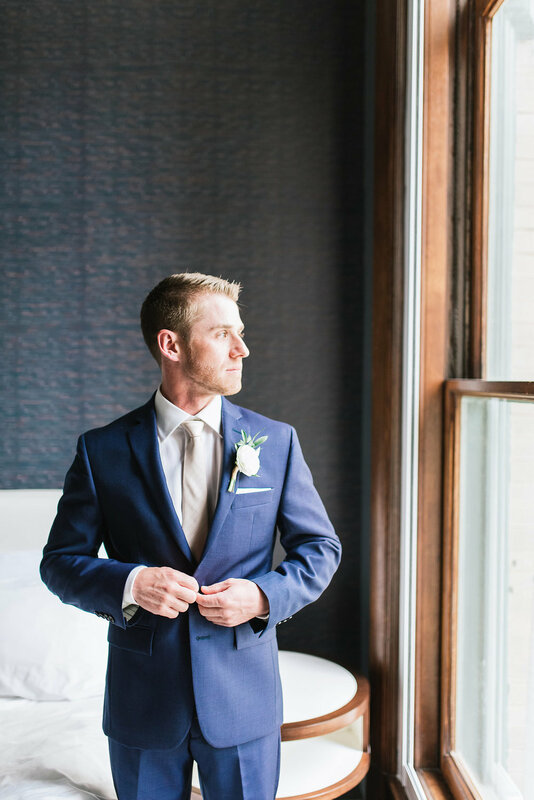 I love how timeless all the details turned out. 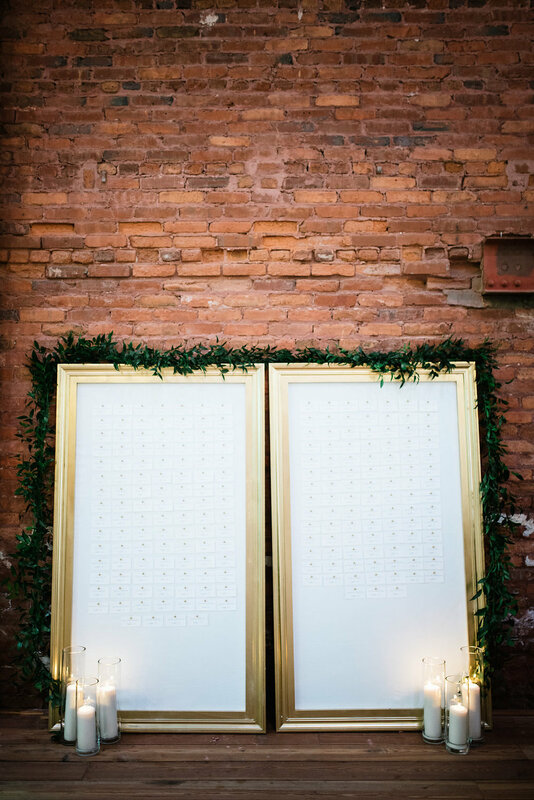 One of my favorite details were the seating arrangements that were custom made by my husband, Kyle (Go give him a follow on Insta @VHwoodworking ) Each guest had a card with their name and table assignment. 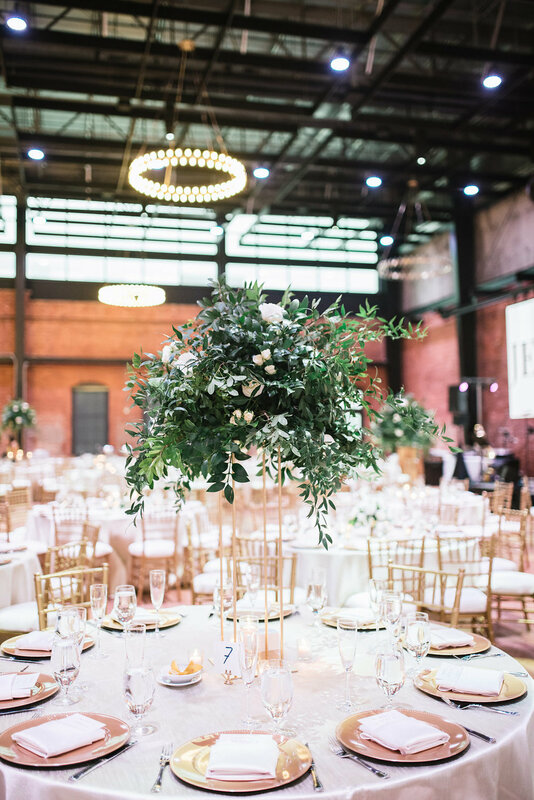 I love that it doubled as beautiful decor and the greenery and candles added by Jana of Events In Bloom made it that much more amazing! 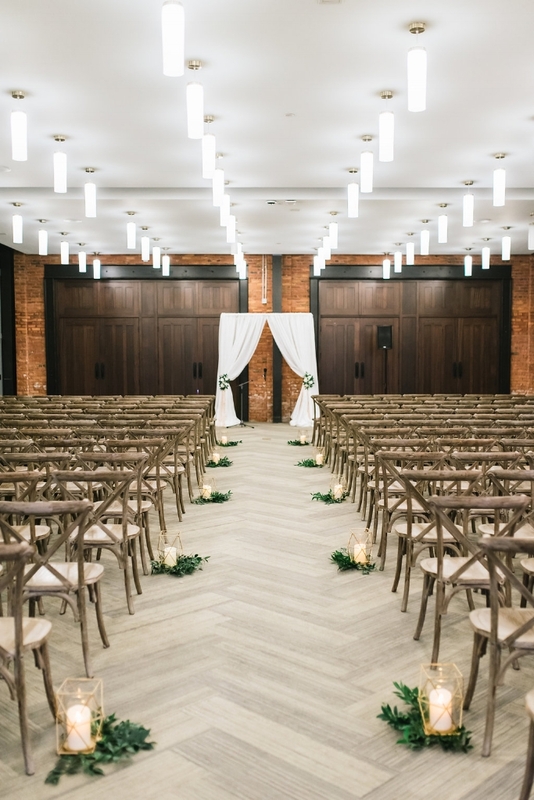 It was located in between the cocktail and reception space that was separated by draping to section off the different areas. 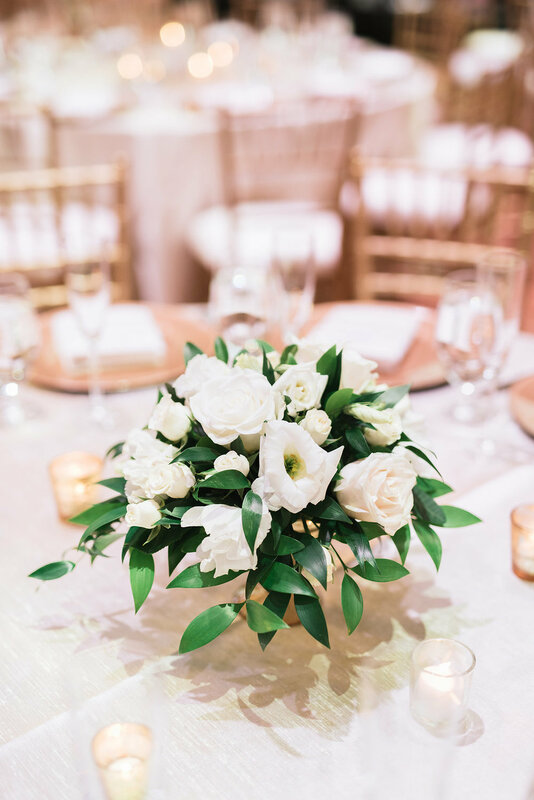 We loved working with Jana of Events in Bloom becuse she totally got our vision of classic white flowers with touches of greenery. 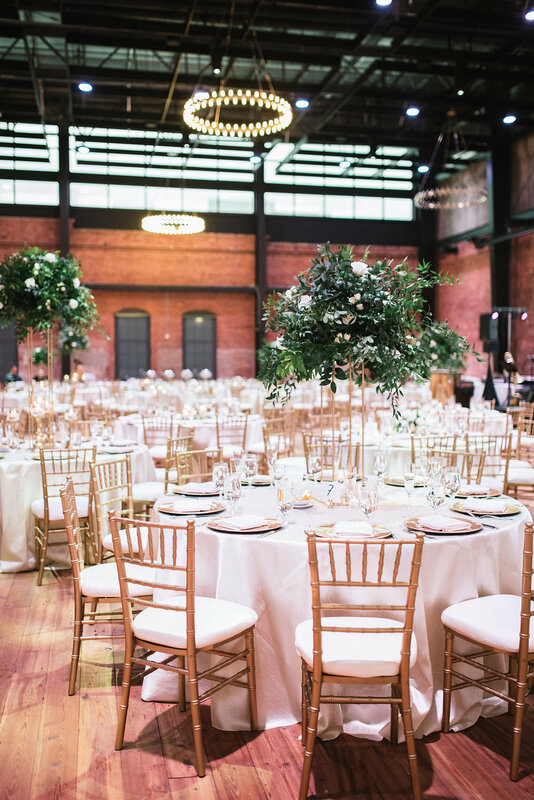 I love that Jana used the high ceilings of the space to inspire her design of the tall centerpieces. 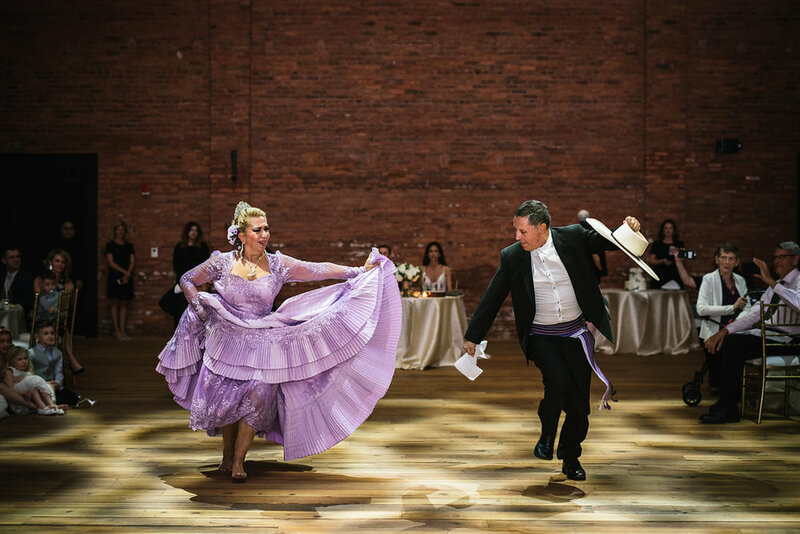 They were perfect in the Armature Works Gathering Room. 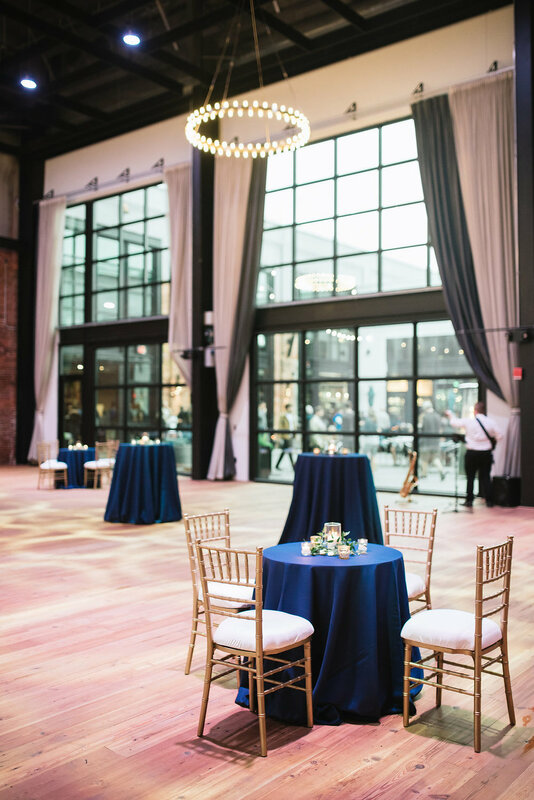 This was the first time I got to design in the Armature Works Gathering Room and it was a treat. 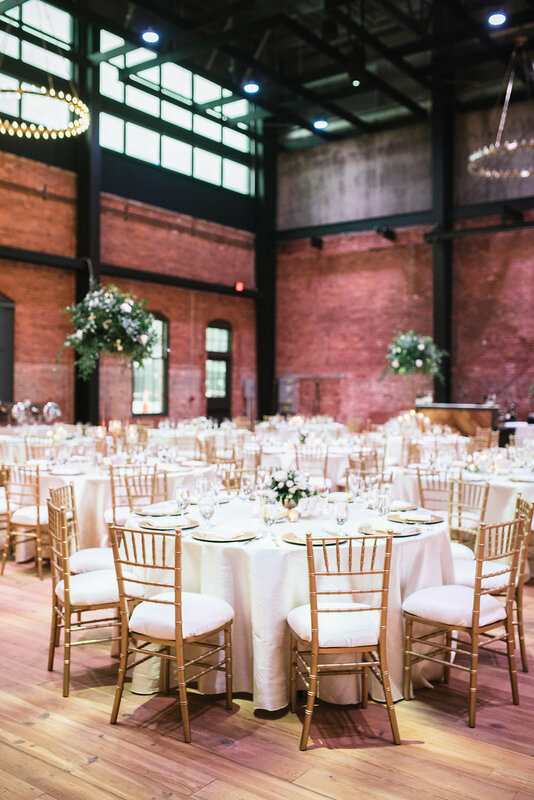 If you have been following along around here for long enough you know I love venues with historical elements with exposed brick, wood floors and a lot of natural light being high up on the list. Jessica's family is from Peru and I love that she honored that heritage in a few ways. 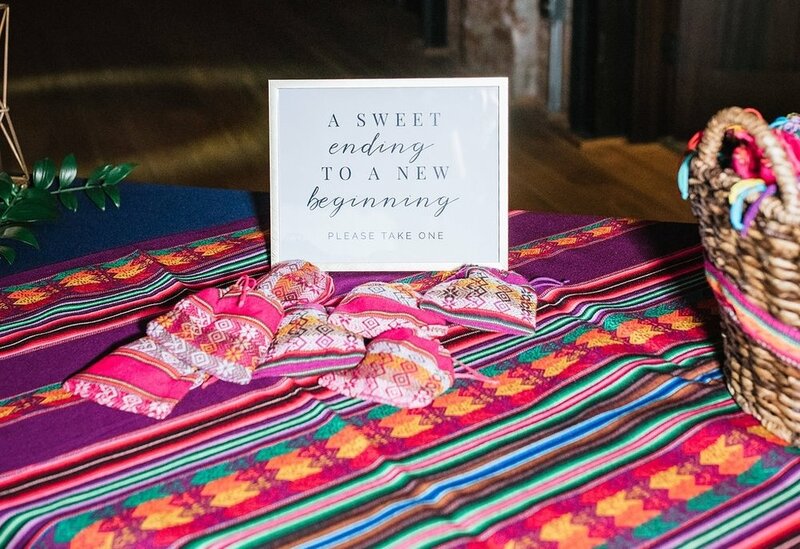 Her family performed a beautiful Peruvian dance and served their favors, Peruvian candy in beautiful bags from Peru. 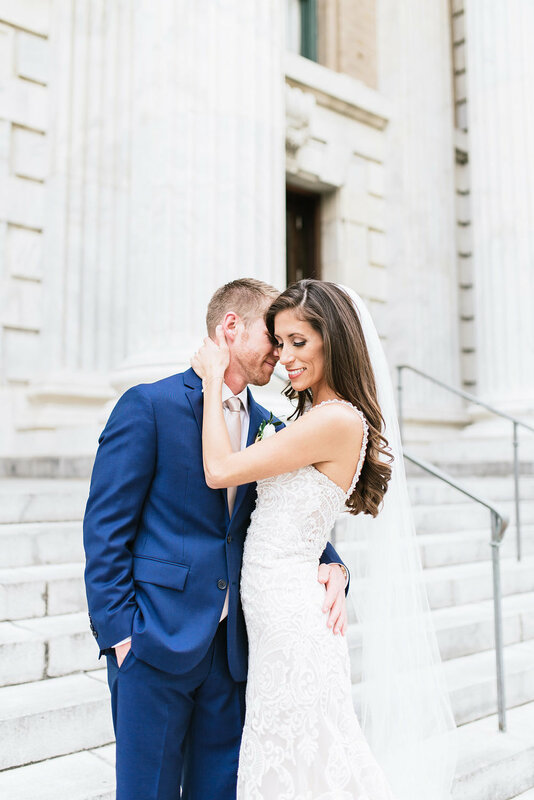 Jessica and Chris, Thank you for trusting me throughout the planning and design process. You were so fun to work with! I loved witnessing the beautiful way you support one another through life. 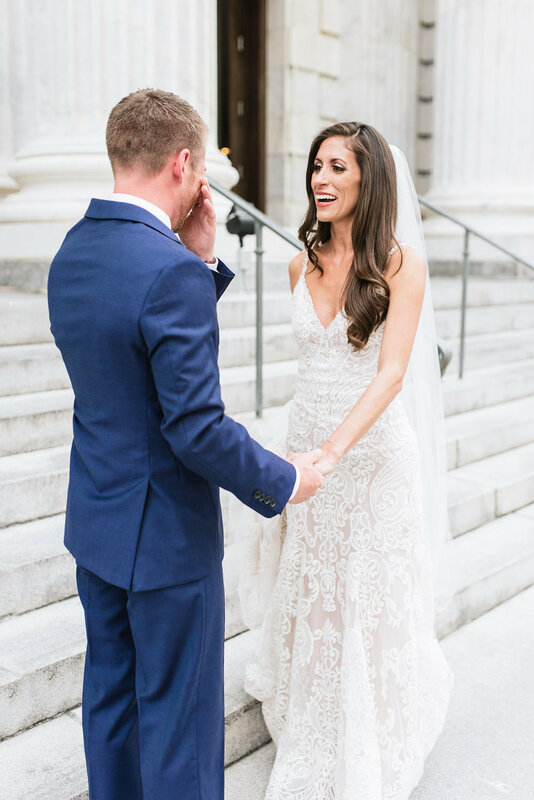 I know married life will be a smooth transition for you as you continue to be supportive, loving and have lots of fun together. I wish you all the best!